Greetings Monday Moaners! 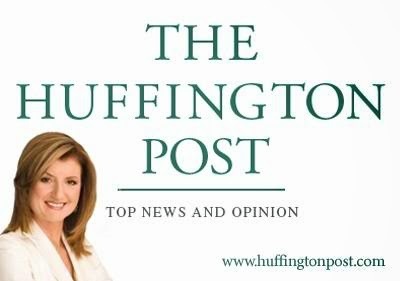 It's that time of the week again, time for my Monday Guest Blogger! Applause...Yay! 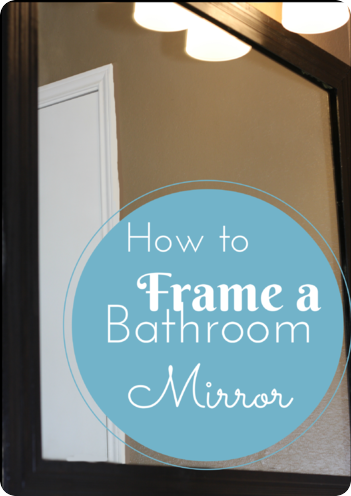 So grab another cup of coffee, get cozy because this is a must read makeover! 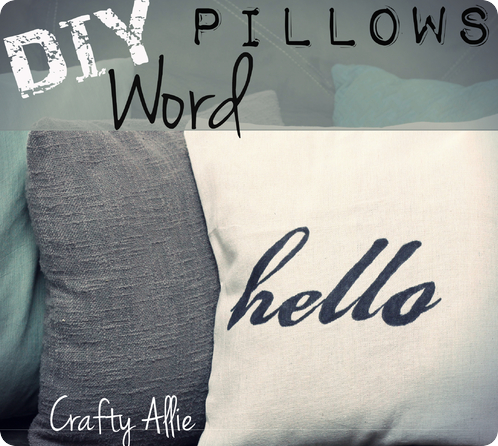 Hello to Allie’s lovely readers! I am so happy to writing to you all today! 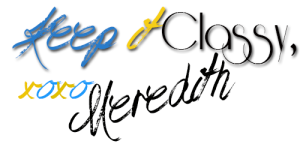 My name is Meredith from Arts and Classy. At Arts and Classy I believe that no one should have to spend hundreds or even thousands of dollars on quality furniture, art, or home décor. 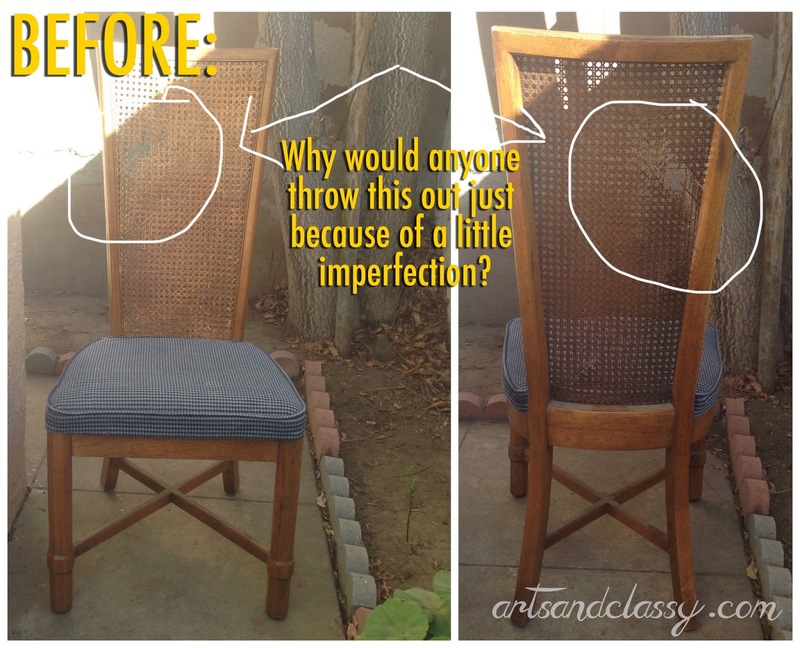 I love finding DIY projects to inspire others to get out to their local thrift stores or yard sales to find treasures. I am a huge fan of finding furniture on a dime and flipping it into something fabulous. 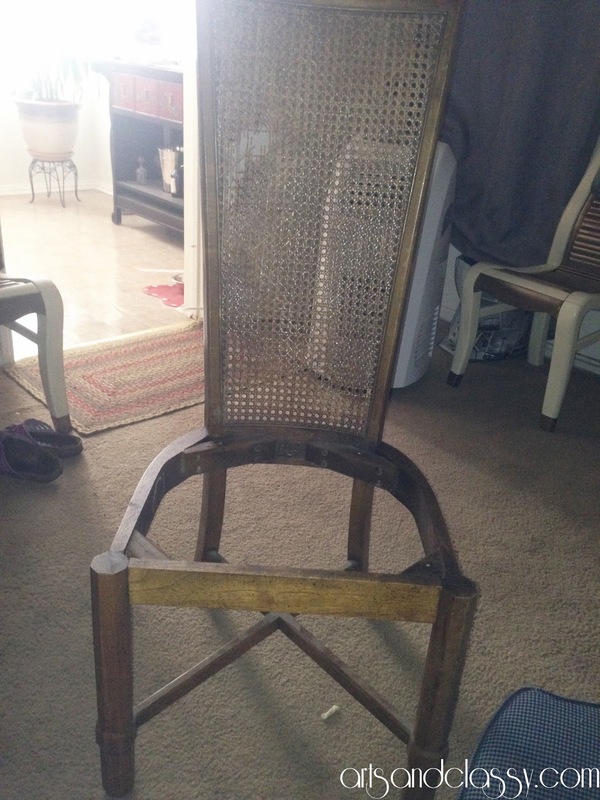 Today I am going to show you this cane back chair I found on the side of the road. HELLO CURB ALERT! J The cane had been torn, so someone was just chucking it. Um…hello? The bones of this chair are great! This is a sturdy piece of furniture that can live to see another day. I wanted to revive it! I will show you my journey in transforming this piece. I hope you enjoy. First off, I needed some tools to help me disassemble this chair. 4. Screwgun – I use a Makita and I love it! 8. 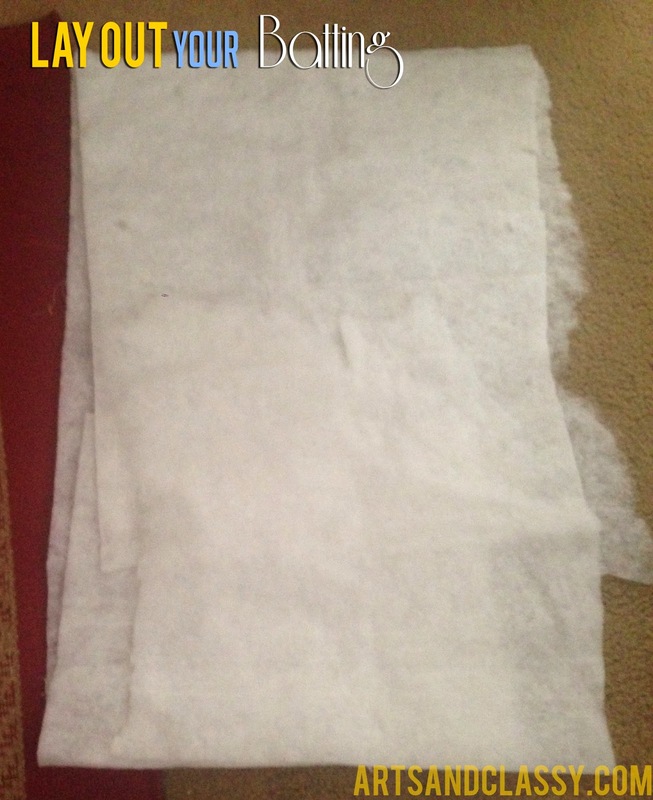 Fabric – I purchased about 2 yds, at $12.99 a yd. This was relatively easy, but I found a couple of spider friends in this process. Note to self: spray with bug spray before disassembling curbside furniture. I am not a spider person and I shrieked upon seeing one run out of one of the screw holes. EEkkkk! 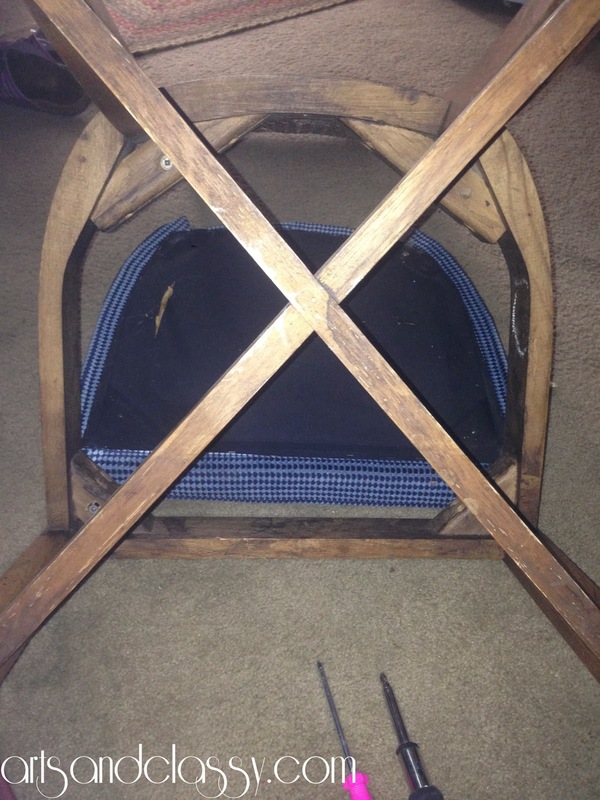 Step 2 – Remove the Cane from the back of the chair. 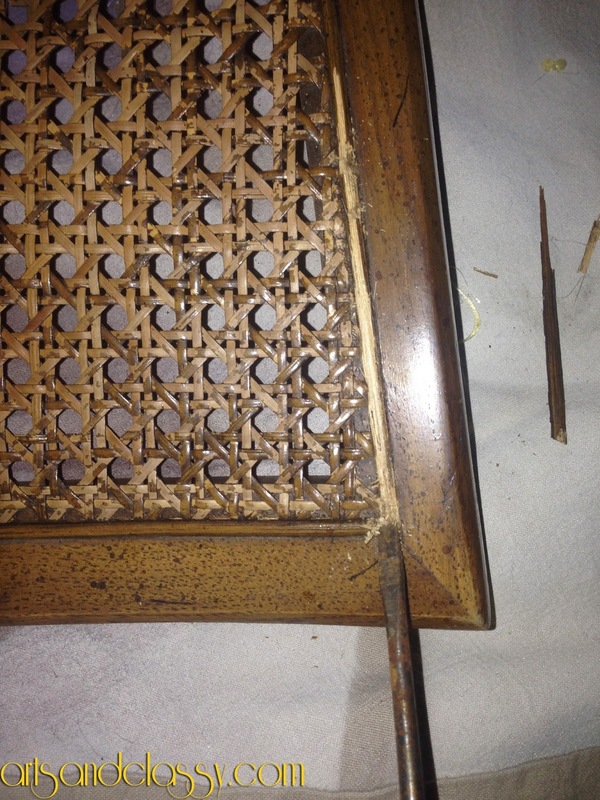 I have had zero experience in removing cane from furniture. So I did what any do it yourselfer does…I googled it. Lol. I came across a few helpful videos on good techniques to remove the cane faster. I needed a hammer and flathead screwdriver for this step. I essentially hammered the end of the screwdriver as I dug into the cane border. You will also need your side cutters or pliers to remove staples as you go on this. This part of the entire process took the longest for me. 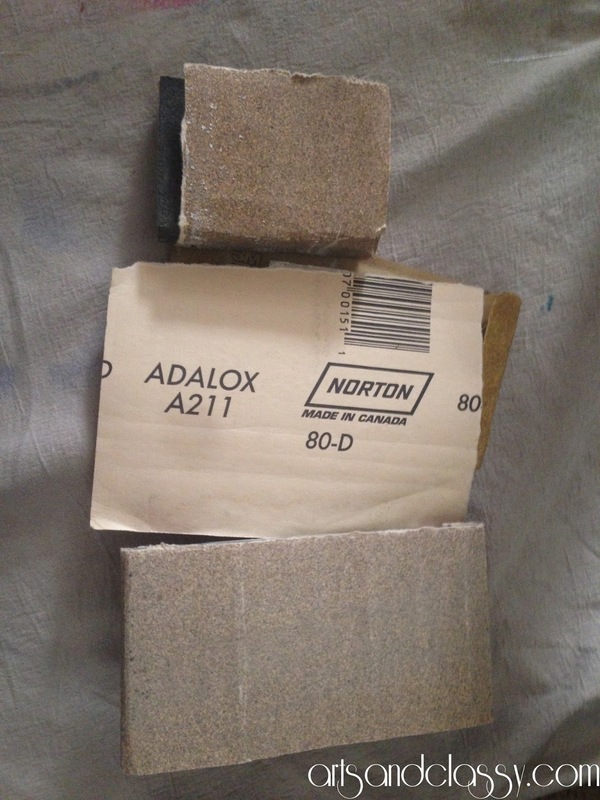 Step 3 – Sanding TIME! Once I removed every staple and all of the cane. 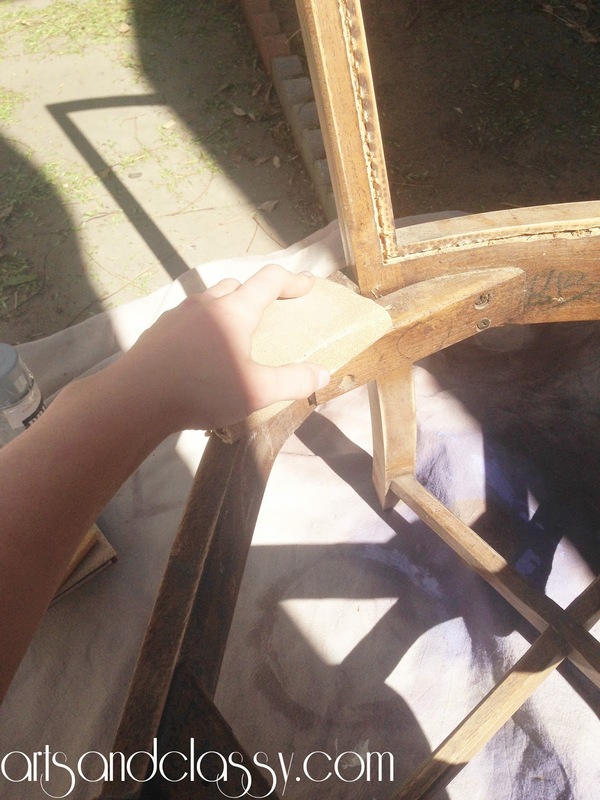 I got out my sandpaper and sanded the heck out of this chair. I used an 80 grade for the entire chair. Not much sanding was really required for it. 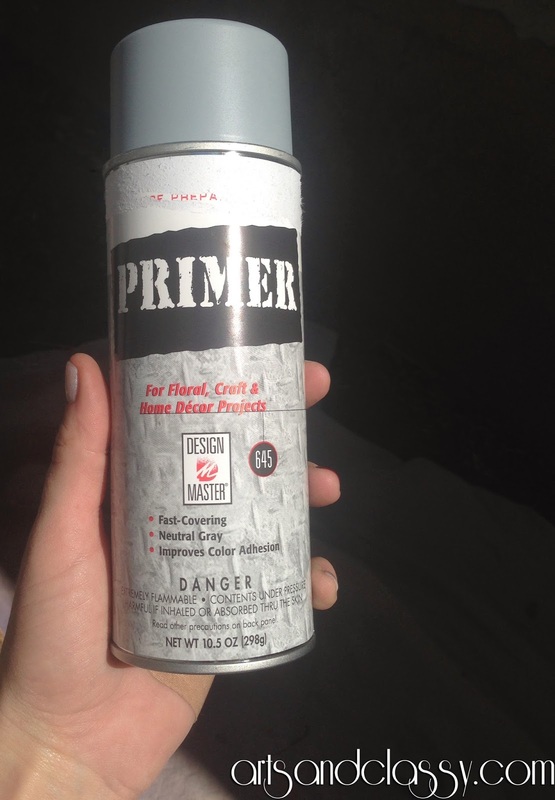 I normally pick a paint and primer in one, but this time I chose to do 2 different steps with some better quality spray paint. I just needed to apply 2 coats and everything was covered. 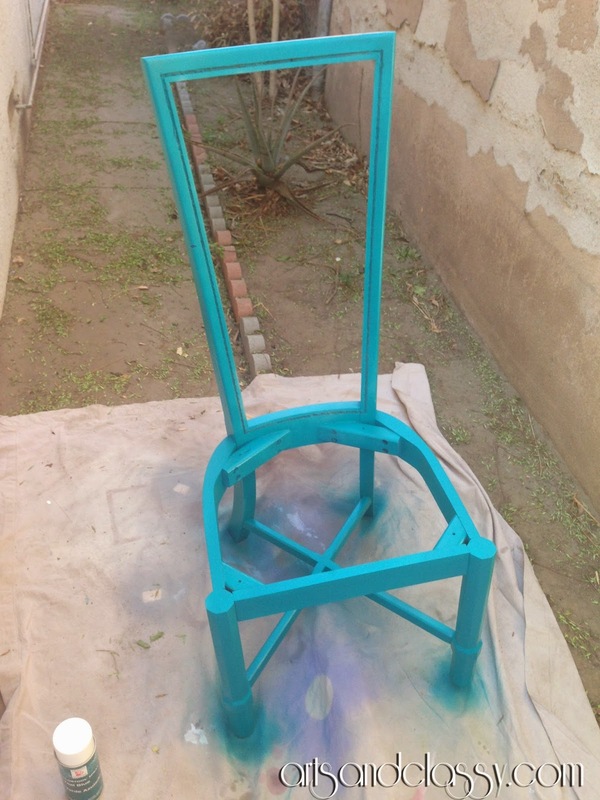 Step 5 – Let’s start painting! 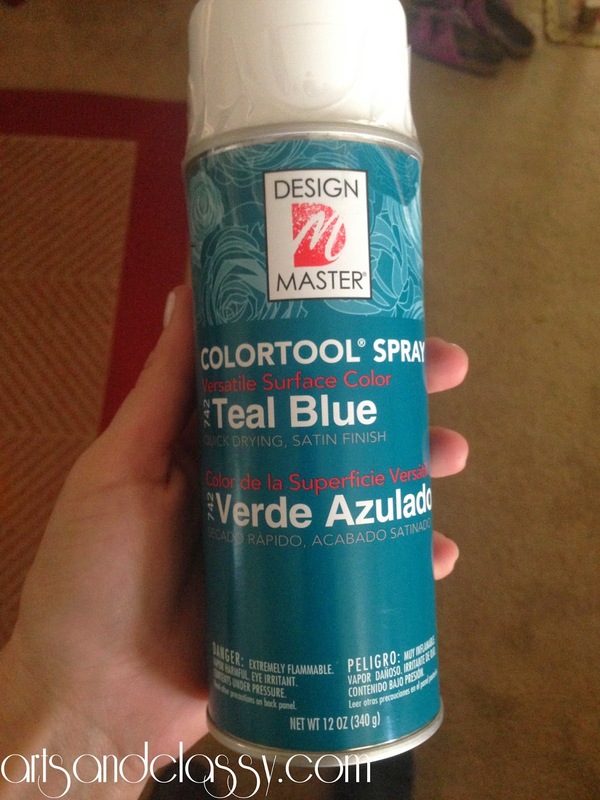 I chose this really beautiful teal blue color for the chair in a matte finish. I wanted to give it some glam! 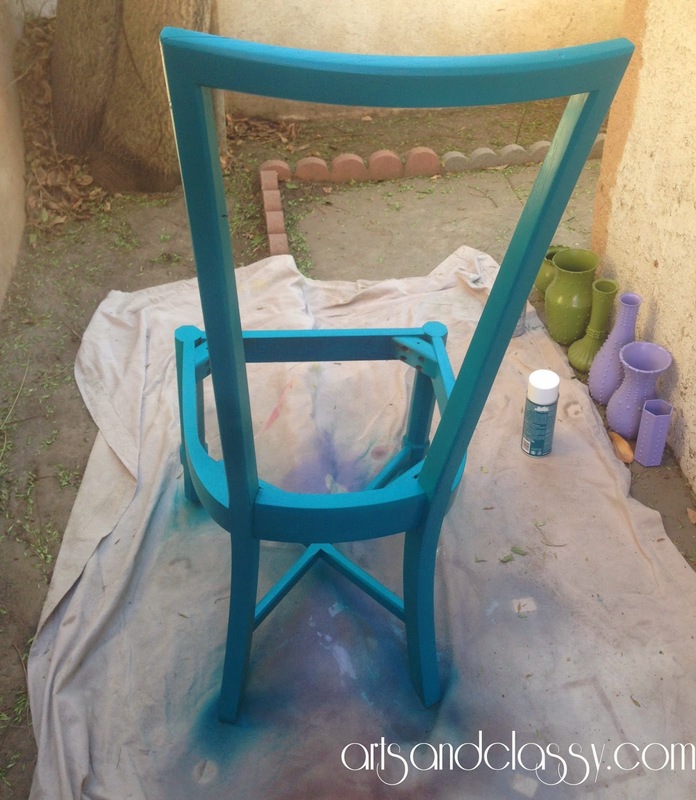 I thought a modern fun spring color would give this old chair the pizazz it needed. The cushion was a little difficult to take apart because it had be very professionally upholstered prior to getting my hands on it. 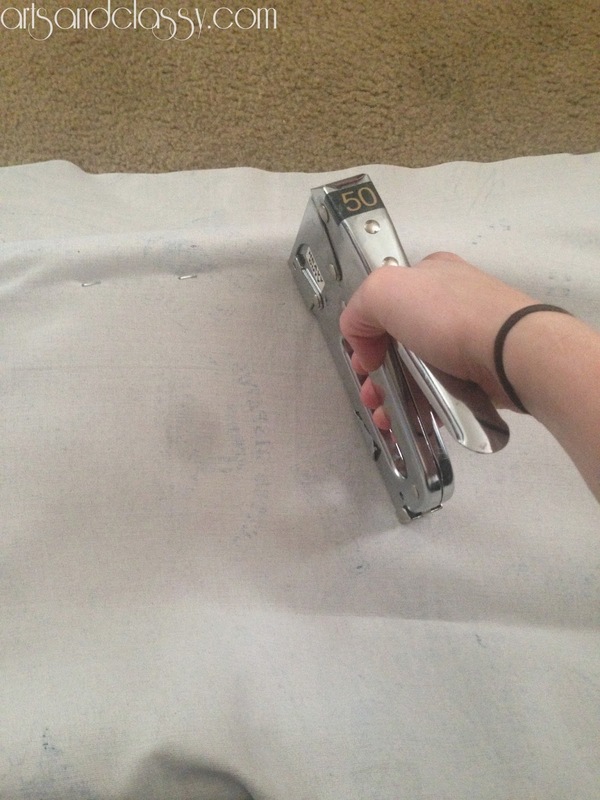 I was not trying to salvage the fabric or the gemp so I literally cut it off. 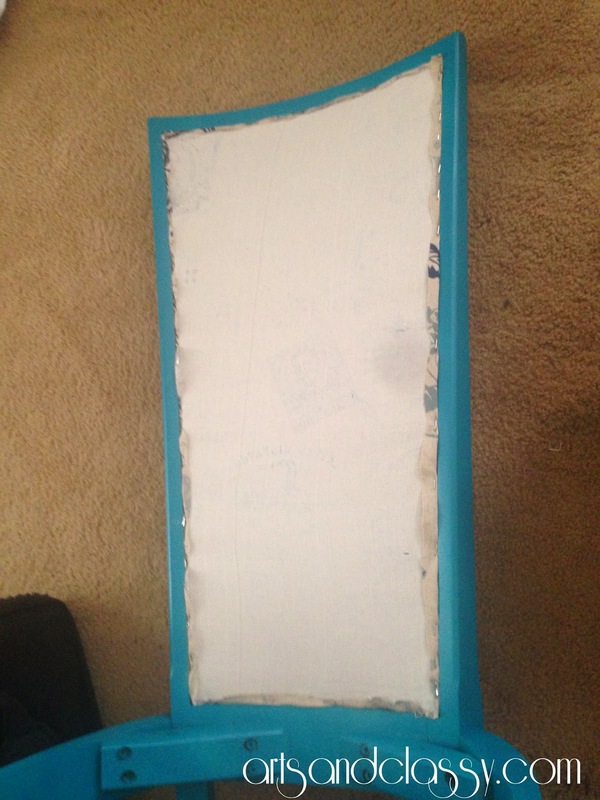 I also added some new batting to cover the foam before putting the new fabric on it. Now to re-upholster the back I had to lay out my fabric the way I wanted it to appear from the back. 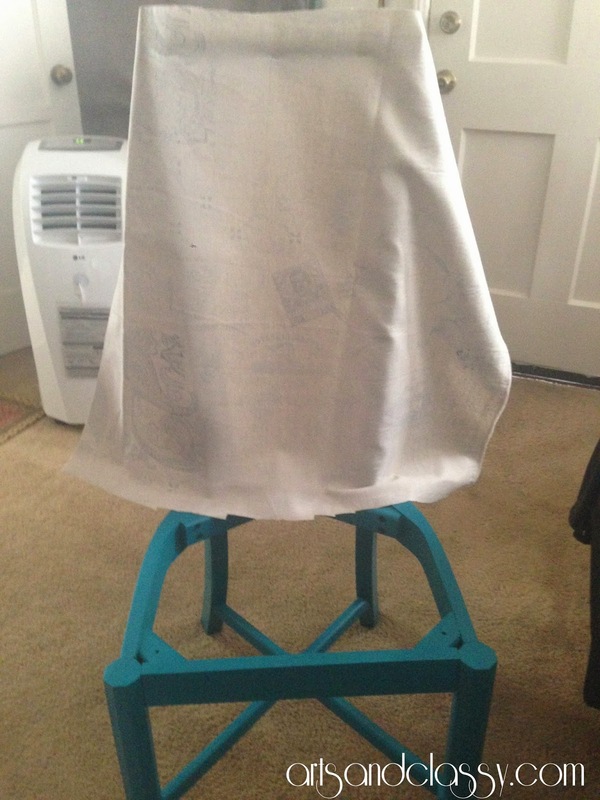 Then I stapled it into place and added a couple layers of batting (cut into the shape of the chair back) to lay on top of the fabric. After the back fabric and batting were secured, I added the same fabric to the front. 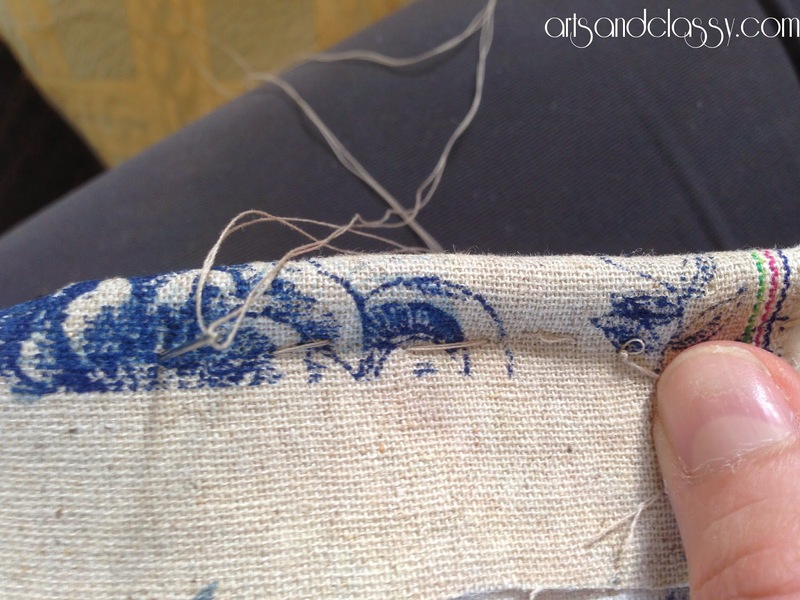 Essentially, sandwiching the batting in between the fabric and stapled into place. For this project I did not use “gemp.” I got creative and used an everyday rope cord that my step dad had in his garage. I was trying to stay thrifty on this project. I think this solution worked just fine. 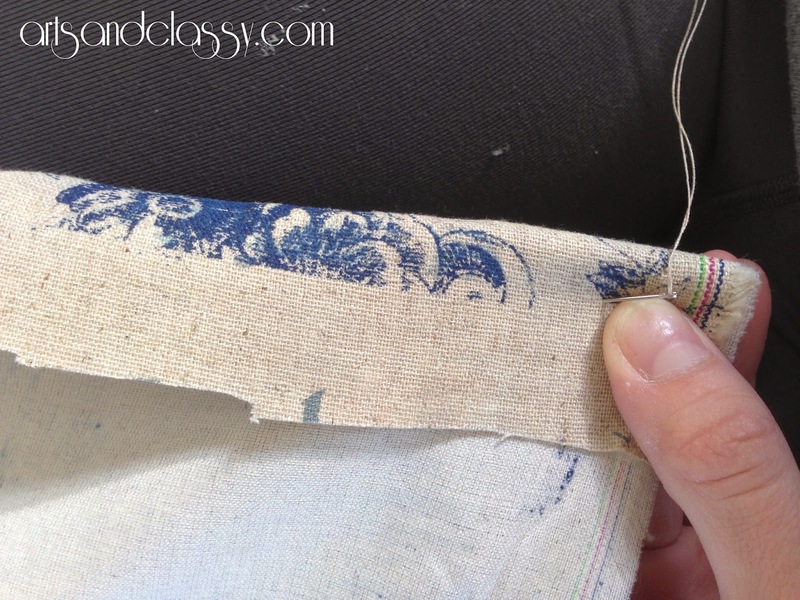 I wrapped the fabric around the cord and sewed it into place. 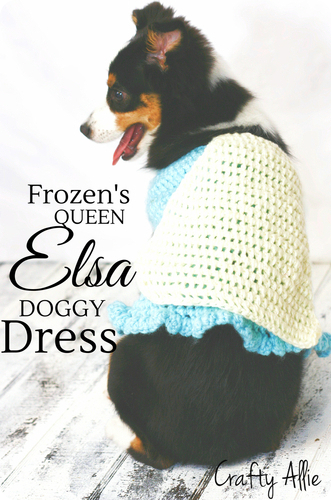 Break out your hot glue gun and get crazy! Well… not too crazy. No burns anyone!! This part was relatively easy and fast. It really finished off this chair nicely. 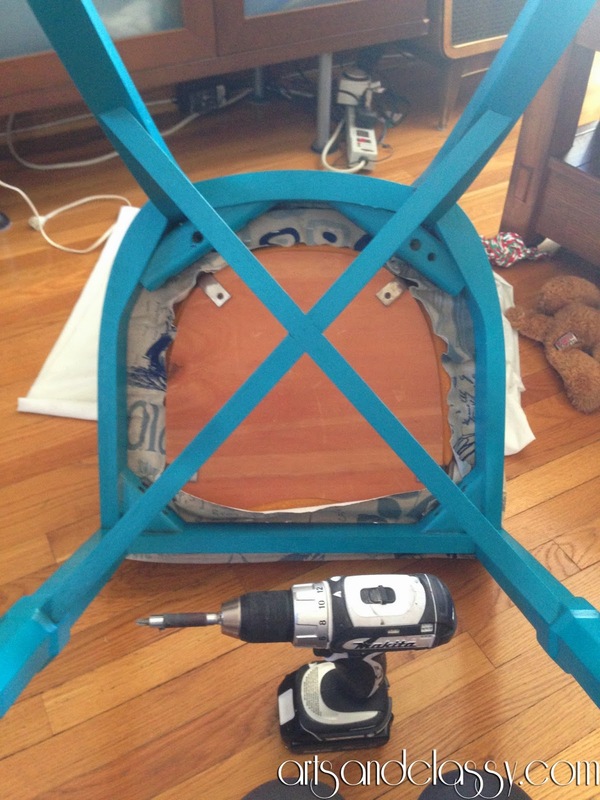 Step 9 – Re-assemble the chair seat and Viola! DONE! 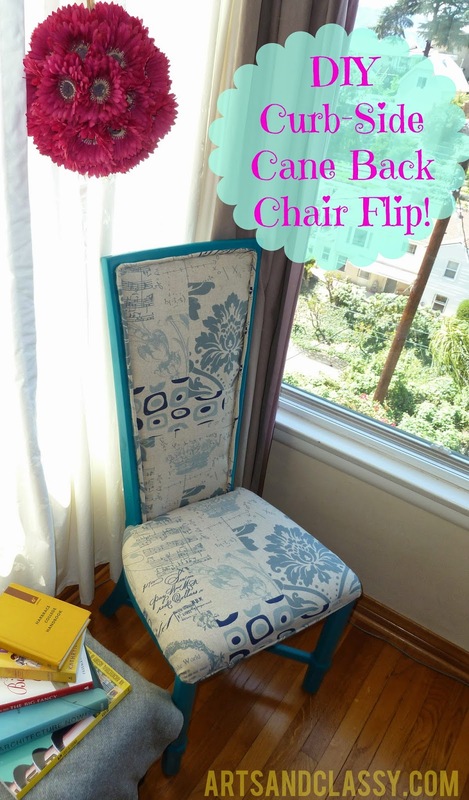 This part was so exciting because I was able to see this chair back together again in a fun new way! This is always my favorite part. It is truly is the most rewarding! 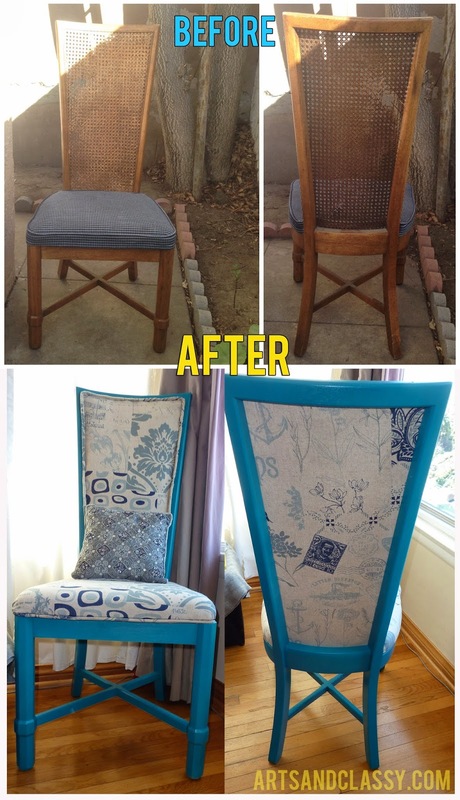 This chair was such a fun project. It came at the perfect time in my life to tackle it and share with you all! 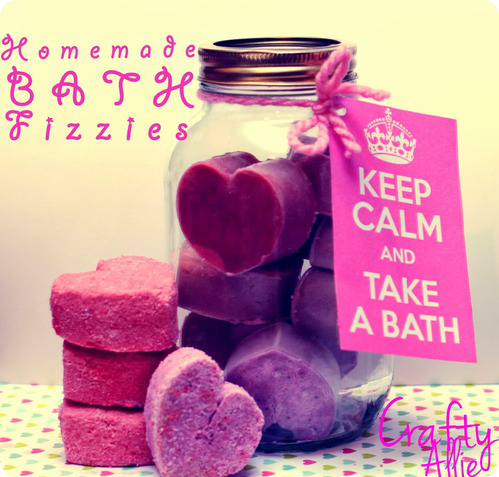 Thanks Allie for letting me post on your fabulous blog! 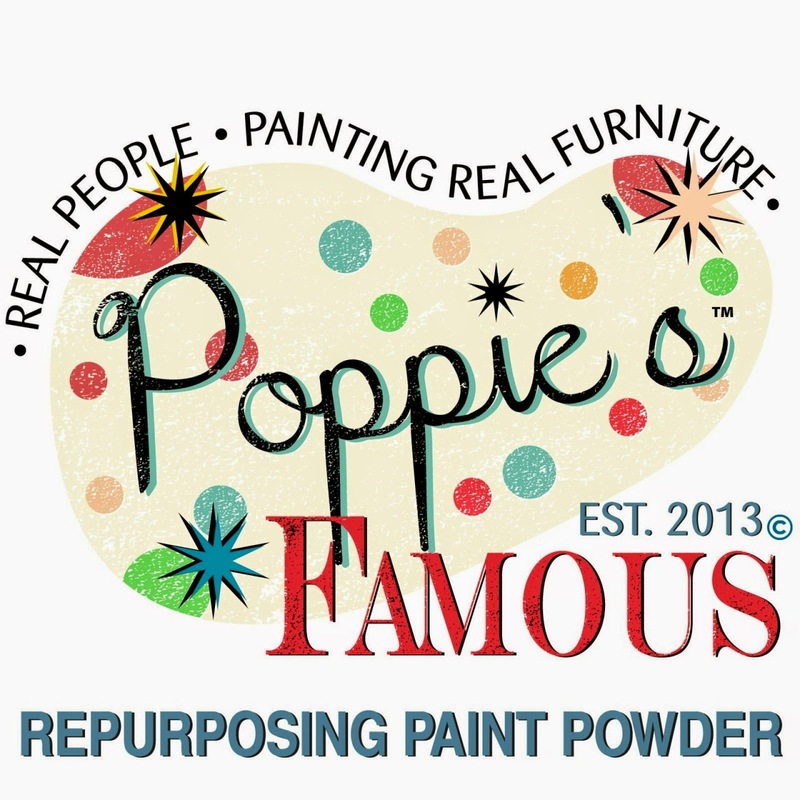 I hope you enjoyed this project and if you want to see more, please head over to Arts and Classy for more fun projects, decorating tips, furniture reveals, and tutorials. Thank you so very much Meredith for this amazing makeover tutorial. 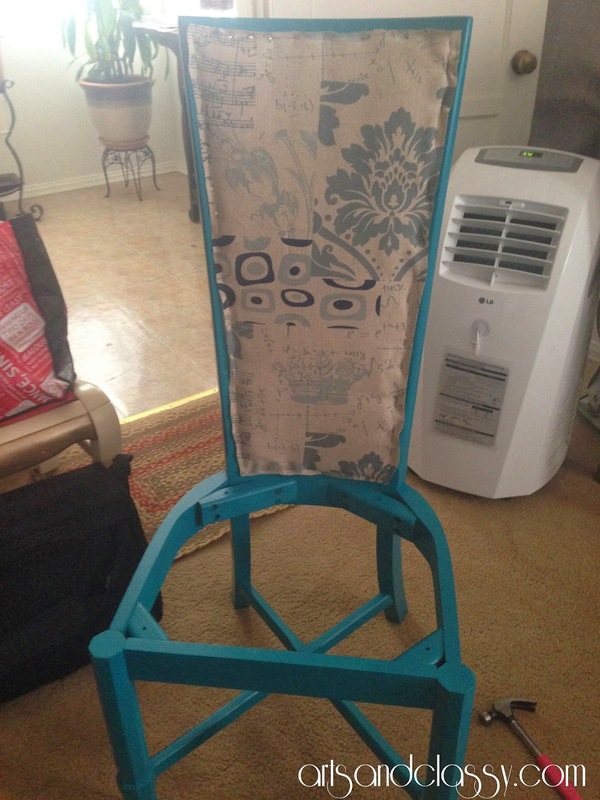 I saw a similar chair like this on a curb but didn't pick it up because of its broken cane. Now I wish I had snagged it. 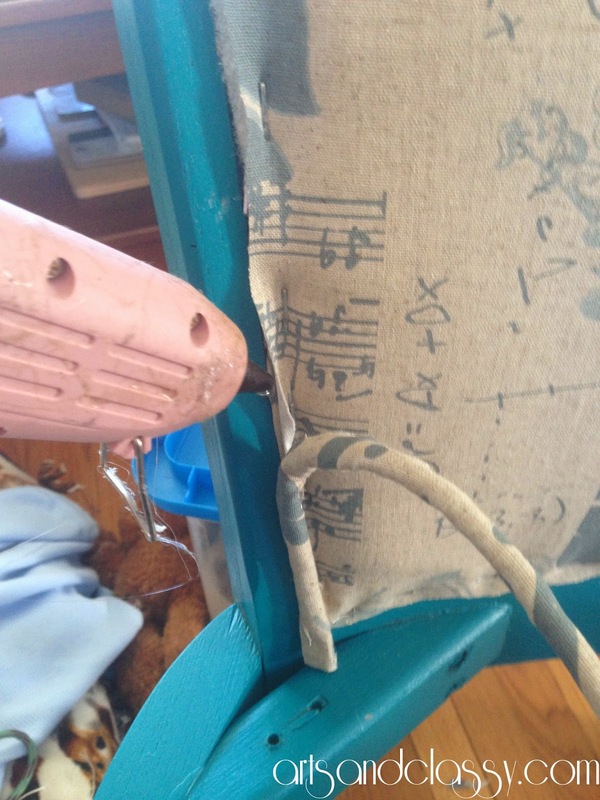 Oh well, I am sure there will be other abused chairs to rescue! 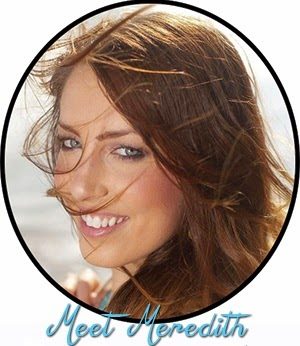 Thank you Meredith for guest blogging today! 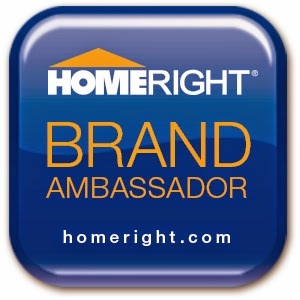 Would you like to guest blog? If so, please contact me here. 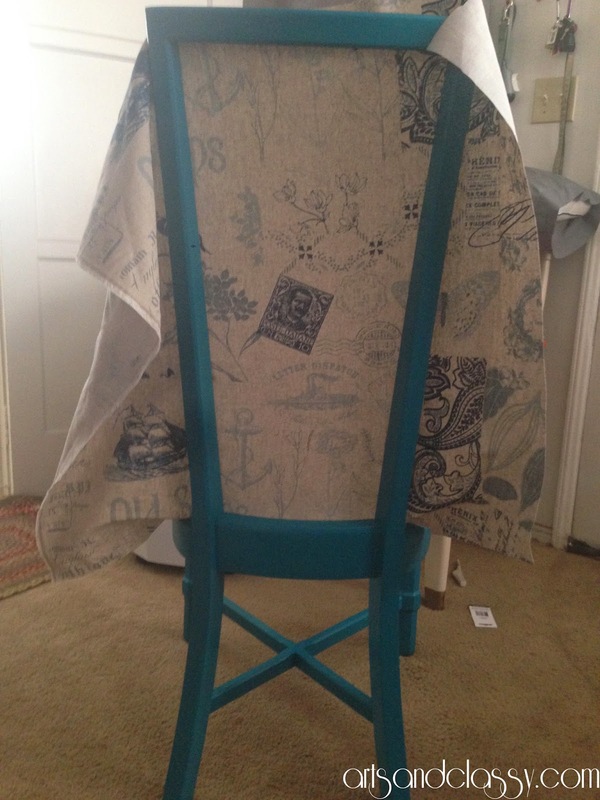 The chair turn out beautiful ! What a great found ! I'm glad Spring finally here so I can do more yard sale-ing and hope will find some treasure :) Thanks for sharing the steps ! I love how this turned out! I had a set of similar chair (cane intact) that I had to get rid of when I moved to NYC ... made me so sad. Wow is right! I love this chair, you did a beautiful job. 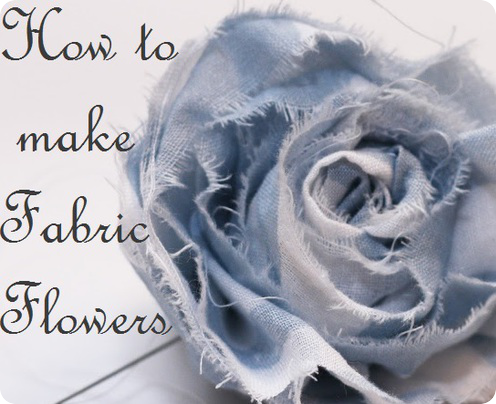 LOVE the fabric you choose. Thank you for sharing at on Treasure Box Tuesday. Pinned and tweeted! What a great transformation! You found a gem in the rough and made it beautiful! She did a great job didn't she? Thanks Kathryn! I've added the button. She did a great job, thanks for coming over!